Creates a rich, creamy lather for a delightful shampoo experience. Naturally derived cleansers gently yet thoroughly cleanse the hair. A special blend of moisturizing ingredients imparts softness and shine as the formula adds body and fullness. Suitable for all hair and scalp types when mildness is desired. Cool Kiehl's Fact: TheAmino Acid and Coconut Oil derived cleansers in the formula create its delightful, creamy lather. How To Apply : Wet hair Gently massage a small amount through the scalp area. Rinse with warm water. 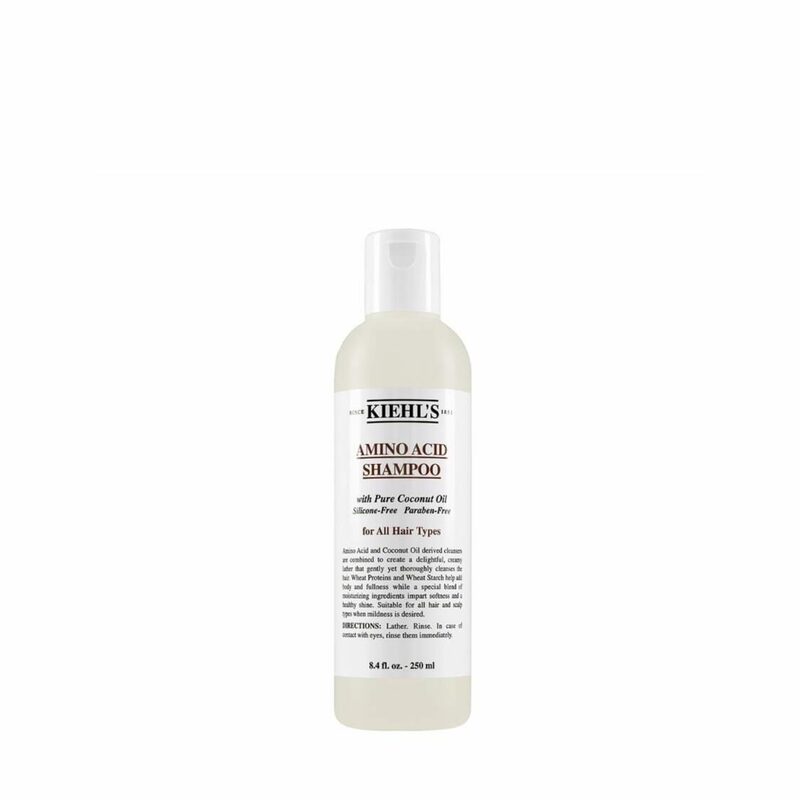 Repeat if desired, and follow with the Kiehls Conditioner or Styling Aid of your choice If contact with eyes occurs, rinse eyes thoroughly with water.